Turnstone Partners offers conventional General Commercial Real Estate Brokerage Services to a broad range of Buyers, Sellers and Owners of commercial real estate. This service is delivered through a commission-based, percentage of revenue or fee-based brokerage or management relationship under a signed listing agreement with a seller, “Buyer Representation” agreement with a buyer or a “Property Management” agreement for managed property. These fiduciary relationships are entered into via either an exclusive or dual agency relationship. General Brokerage Services include but are not limited to Comparative Market Analysis (CMA), financial analysis, marketing the real property to prospective buyers and co-brokerage agencies, facilitating a purchase or sale, document preparation, due diligence, leasing for a percentage of the gross lease value, and property management. Turnstone Partners often cooperates with Co-brokers and offer competitive commission splits to these representatives for their participation in the transaction. In listing property for sale, Turnstone Partners list property for sale to the public through public and private listing services and distribution lists, prepare advertising and pamphlets, arrange tours, install property signage, screen buyers, negotiate price on behalf of the Sellers (as a fiduciary for the Seller), hold earnest payments in trust, etc. In representing Buyers, Turnstone Partners find the real estate in accordance with the buyer’s needs, specifications, and cost, pre-screen properties and conduct property tours with buyers, pre-screen buyer clients, conduct thorough due diligence, negotiate price and terms on behalf of the buyers, and prepare standard real estate purchase contract by filling in the blanks in contract forms. In managing property, Turnstone Partners offers comprehensive Property Management Services to clients across multiple sectors exercising due diligence in the maintenance and management of the client’s assets using all reasonable efforts to protect it against all reasonably foreseeable contingencies and losses. Turnstone provides correct, audible financial and business records and documentation about each asset managed for the client, which records shall be available for inspection at all reasonable times by the client. Turnstone furnishes, at mutually agreed upon intervals, regular reports about the client’s assets under management. In providing these services, Turnstone pledges to serve as a fiduciary for the client and shall not commingle personal or company funds with the funds of a client or use client funds. Turnstone Partners is committed to our field and pursue the most sought after industry credentialing to give unsurpassed service. 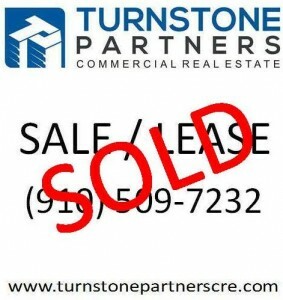 Please contact Turnstone Partners to discuss our Commercial Real Estate Brokerage Services.